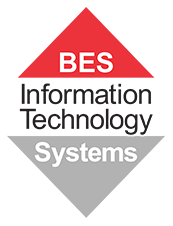 At BES IT Systems we work alongside over 100 global brands to bring you leading technology, on your terms. The strong relationship and buying power we have with vendors enables us to provide you with the best range of products and brands. Our value proposition is to challenge the vendor solutions on behalf of our clients so they get the best possible customer experience. We are preferred reseller of many global vendor brands including Nutanix, Xirrus, Apple, Lenovo, Fujitsu, Hewlett Packard, Microsoft, PC Locs and many more.